What is the worst that could happen on stage? There is no limit to how many awful on-stage moments we can dream up when we are standing backstage. Fear and judgement are the evil siblings to joy and trust, and we all have moments before, during or after a show where the whispers of our nagging fears take hold. Graham Meyers & Kirsten Rasmussen at VIIF 2013. Photography by Liam Robert. A few years ago, when I had to opportunity to direct the ensemble at the Vancouver Improv Festival, I took a gamble on a format. I had the whole ensemble write down their on-stage fears. We didn’t workshop it. Half the ensemble would do this mystery format, the other half would do one we spent a whole day working on. We had huge sheets of paper, with the fears written on them. I reworded all the fears to be active challenges, that could be played. 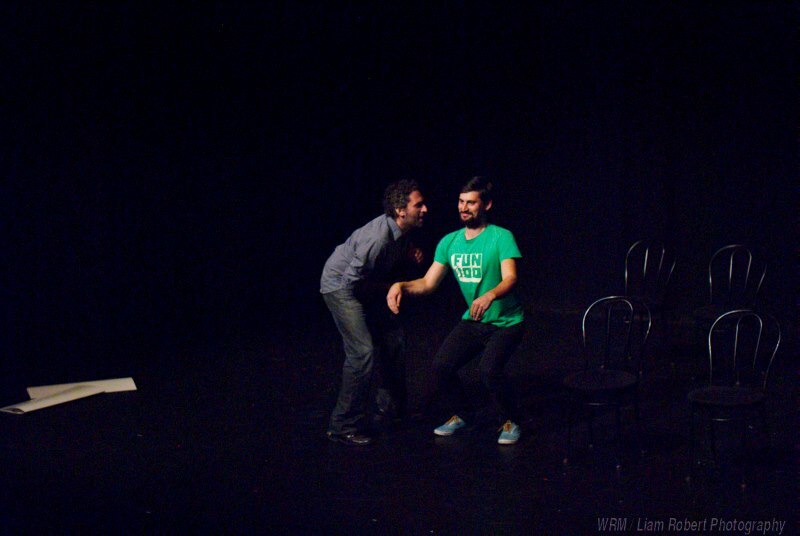 In this photo, Ben is playing “I am furniture.” Kareem Badr & Ben Gorodetsky at VIIF 2013. Photography by Liam Robert. I wrote out about 20 different fears; all of them very different. Performers would step forward, read the fear off their paper, and hold it up so that the audience could read it too. Each person knew their own challenge, but not their scene partner’s. The chances of getting your own fear were low, but not impossible. Then two performers would do a scene together, playing out their challenge. The combinations of fears (“I am too angry” with “I’m annoying”, or “I can’t stop laughing” with “I am robotic”) lead to really bizarre and delightful scenework. -It could have utterly failed. The show in itself was scary, and committing to it was a risk. -The improvisors committed 100%; the scenes did not look like the improv scenes we often watch. Each scene had a completely unique dynamic. Once a fear is no longer something you are working against, or resisting, it becomes fun to play. Tripping a lot, or mumbling a lot, are great choices, as long as they are choices. The audience knows when we are nervous, or trying to hide something, but if we embrace it and do it more, we can harness our fears for good. And, once we stop resisting something, that feeling will pass, and we can move on to something new. 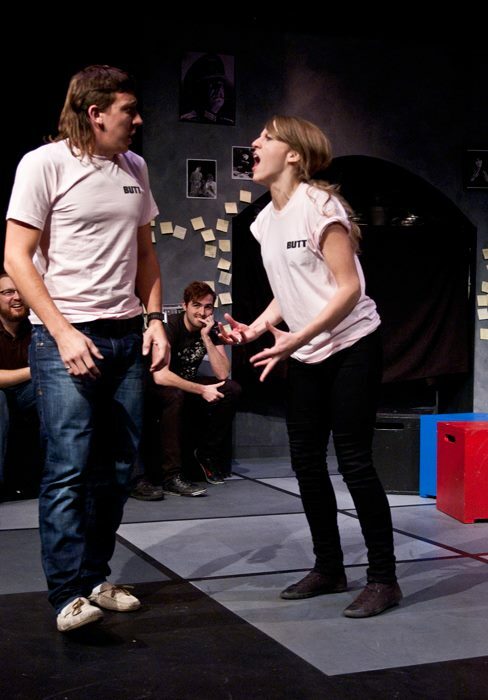 The gang at the Hideout Theatre in Austin, Texas, recently performed this format, directed by the lovely Roy Janik, at their 47-hour improv marathon. It reminded me how much I loved this experience! You can read all the great fears that the Austin improvisors wrote down here. 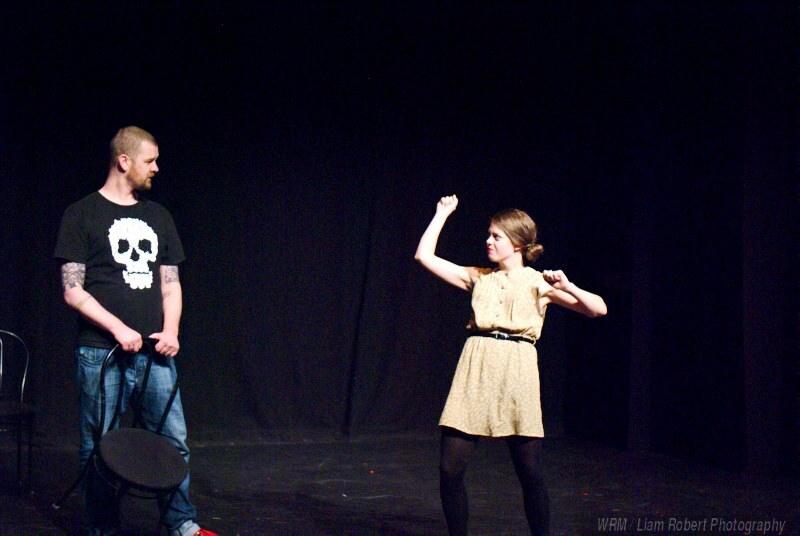 Photographs of the 2013 Vancouver International Improv Festival by Liam Robert Photography. Kory improvising with an audience member at Rapid Fire’s BONFIRE Festival. Photograph by Billy Wong. My friend Kory Mathewson made a simple request for this 29th birthday; reflections on “finding fun in others”. I would like to start this birthday message by telling you about Kory. He is a top tier improvisor with Rapid Fire Theatre in Edmonton, where he tours with a rad show called TedxRFT. He is one of my favourite people in the world to be on stage with because no idea is too ‘out there’, no game is too experimental. His response to my ideas is always, “Let’s do it, Amer!”. Whether it’s an improvised parliamentary-style debate, a musical, or a show full of challenging pulse-edits, Kory is always up for taking a risk on stage. Kory is a truly gifted improvisor, I think in part because of his broad experience of the world. He’s not the type of performer who exists in a echo chamber, spending 6 days a week workshopping in a theatre; he’s constantly trying new things, traveling, and learning. He studies computing science, and biomedical engineering. He builds websites, and software, and ROBOTS(!!). He likes rock climbing, cycling, “schvitzing”, making up nasty slang words, and seeking out the best food in the city. He chases weird experiences, and it makes you want to do the same. Once he invited me to the university for a CT Scan, and a researcher complimented me the symmetry of my brain! Once we were bike riding and we quietly watched a family of beavers screeching on the riverbank! Once, in Austin, we stopped at every bar on the way to a party and did 98 whiskey shots! So, how does this all relate to “Finding Fun in Others”? Kory and I having a laugh riot at BONFIRE 2014. Photograph by Billy Wong. Kory is a master at making you feel like a million bucks. When you’re in a conversation with Kory, he immediately digs deeper than “How are you?” or “What’s new?”. He makes the whole conversation about you by asking so many questions. He says “yeah!” and “absolutely!” non-stop. He wants to talk about you rather than himself. He takes any kernel of information and expands upon it. He can talk to anyone about anything for EVER. Kory consistently strikes up conversations with strangers in elevators. When I first met him, I wondered, “Why? Why would he do this?” At first, I assumed it wasn’t genuine; he was just teasing the person he was talking to, or he had some other agenda. But I now know that Kory is just that curious. He is legitimately interested in what a random teen is eating for lunch, or where a bartender first tasted a certain liqueur, or why you like the dress you are wearing. There are so many days in our lives where we feel insignificant, like the little things we do are inconsequential or routine. Kory is a great example of someone who shines a spotlight on little details, and makes you feel like you are the most interesting person in the room. Kory has taught me to find the fun in others by helping them find the fun in themselves. Photographs by Billy Wong (http://www.semigravity.com/) and Marc-Julien Objois (http://marcjulienobjois.com). 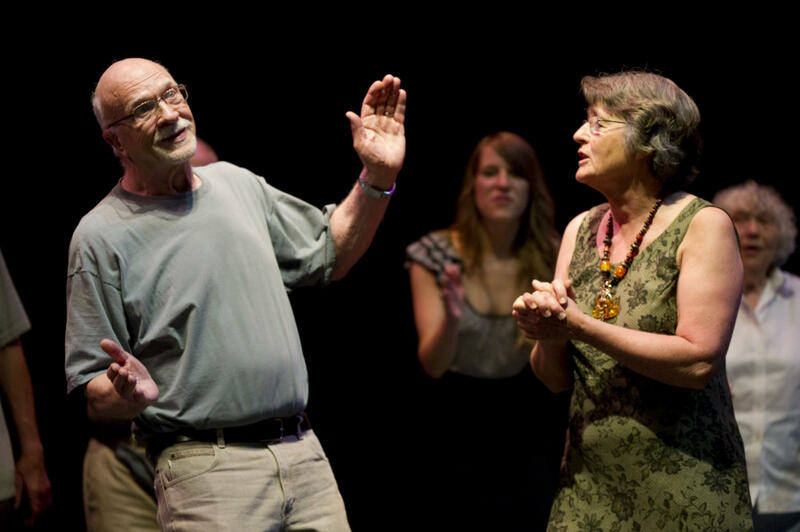 Physical intimacy is one of our storytelling tools as improvisors. How we touch, or don’t touch, and our proximity to our fellow performers gives the audience cues about the relationship. Indeed, a simple pat on the shoulder, or holding hands with a scene partner, can go a long way in terms of giving texture to the scene. 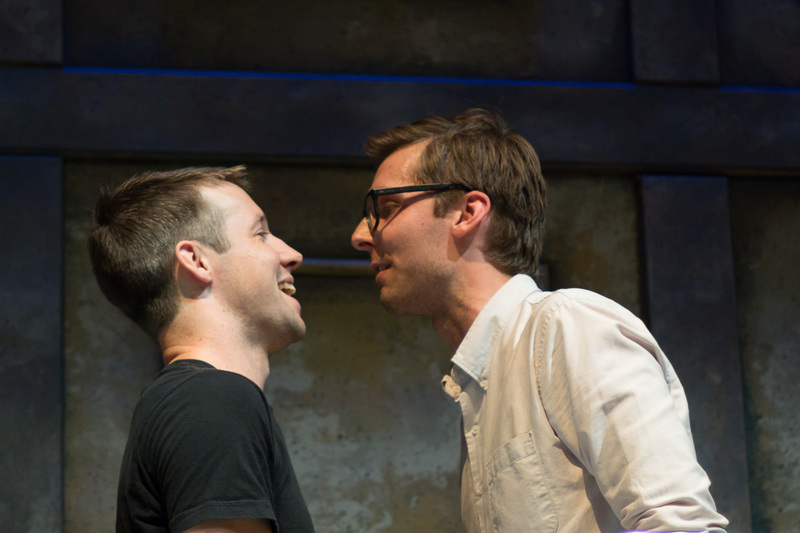 So can a kiss, or a full body hug, or a well-timed, comedy stage-kick to the groin. Recently, Steve Fisher of NOW in Toronto, wrote The Ins and Outs of On Stage Intimacy, in which he profiles the work of intimacy coach Tonia Sina. She offers that, “Intimacy must be treated as choreography and should never be improvised.” I think she has a point. The article got me thinking… As improvisors, we often make assumptions around safety when it comes to physicality (for example, I would never use fight choreography in an improvised scene, unless the whole cast had the same understanding of the physical vocabulary), so why don’t we do the same when it comes to physical intimacy? For me, a kiss has often signalled the end of the scene. My scene partner and I embrace, lips touching, and often the lights fade. End of story. For better or worse, this is how I see most kissing in improv used: as a resolution to a scene about some aspect of romantic love. With ensembles I work with regularly, and even experienced improvisors who I don’t work with regularly, I am fine with a quick closed mouth kiss to end a scene, but I acknowledge that not everyone shares my opinion, nor should they. However, a few months ago, I was in a mono-scene where I was seducing a fellow performer. We were half way through our 40-minute set – it was not the end of the show – and I could feel that we were building to a intimate moment. This choice was in context of the characters and the narrative we were exploring; two married people having a tryst while their spouses were out of the room. The spouses were gone, and it was time to finally show what we had set up. Now, I trust this performer, on stage and off – we perform together a lot, they’re a dear friend, and a professional actor. But when the moment came to make a move, I was paralyzed. I had cornered myself into a game of chicken, and it was fun for a while, but now I was stuck there. I knew the lights wouldn’t come down if we kissed, because of the constraints of the show (lights were to stay on our whole set), so we’d have to kiss again. And then what? AND THEN WHAT?! My heart was racing, and my gut said no. I pulled away, changed the subject, and when we got off stage, I felt crummy for wimping so hard on his offers and my own. Working up to this particular performance, which we knew would explore the dark parts of relationships as realistically as possible, we hadn’t made on stage intimacy part of the discussion. I think now if we had a mutual, previously-discussed understanding about physical connection, I think I would have felt more comfortable in the moment. Or maybe not. Either way, I made the right choice for myself in that instant. Even if my choice was because of my own insecurities with my partner or the audience, and it weakened our story overall, it doesn’t matter. We need to start defining behaviours, and our permissions around them, in order for them to be part of our repertoire as an ensemble, regardless of whether these behaviours become part of our shows or not. Personally, I am guilty of having doled out some kisses on stage without knowing if my scene partner was comfortable with them. Often times, as an afterthought, I have asked, “was that ok?”. The countless instances of sexual harassment that have come to light in recent months in comedy communities across North America have affirmed that my previous approach was less than ideal. It is imperative to start addressing this topic in our performance groups, as well as workshops, proactively, rather than as an afterthought. It all comes down to respecting your fellow performer, and their boundaries, as well as your own. Consent is required. When I visited the Contemporary Theater Company in Wakefield, RI, one of the young performers approached me before a Maestro show. “Is there anything that is off limits for you, physically?”, he asked. He did so in a way that was gentle, friendly, and not a big deal. It was a learning moment for me. Before a show, as performers, we are backstage for half an hour or more. It only takes two minutes to ask everyone. Maybe someone isn’t comfortable kissing, maybe someone has a back injury, maybe everyone is cool with writhing in a ball. It’s that simple, and it’s worth it. No explanations necessary. 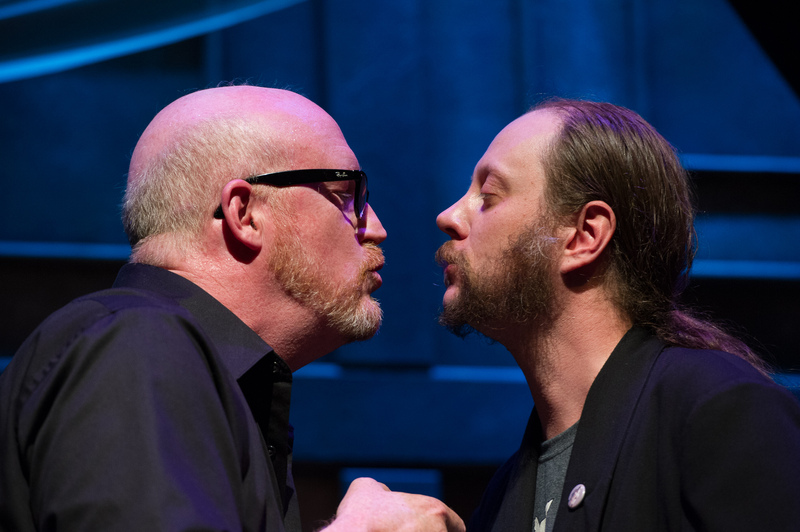 Saying “yes” and accepting offers is one of the key tenets of improvisation, but when it comes to onstage intimacy, you don’t have to do anything that makes you uncomfortable. We need to make onstage intimacy part of the discussion before we hit the stage. Never say “yes” at the expense of your gut. A huge thanks to Paul Blinov, a writer and improvisor from Edmonton’s Rapid Fire Theatre, for editing this post for me. Photographs by the rad Marc-Julien Objois (http://marcjulienobjois.com). I’m inspired to write this post after reading a discussion that took place on the Improv Theatre & Festival Management forum on Facebook. I have personally experienced what it’s like to separate from collaborators, ask cast members to leave a company, and request that public workshop attendees to stop signing up for workshops. I admit that I have made many mistakes along the way, but I hope this post can help shape the process for anyone who is unsure. Things just aren’t working out. The relationship isn’t functioning. Things have turned negative. Mutual respect has been lost. 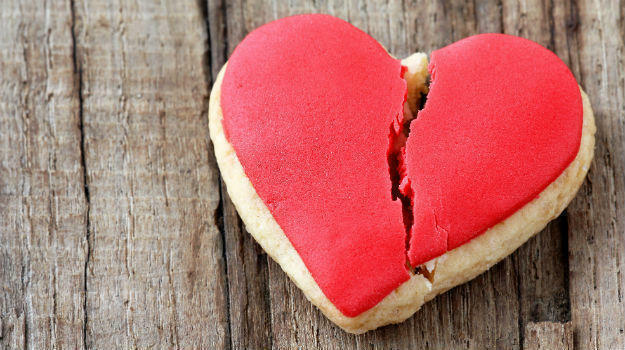 It’s time to break up. Whatever the reason, in your heart of hearts you know, you are faced with the difficult task of asking a member or your improv group to leave. I’ve seen it happen many times. Often it’s clear who the troupe is having difficulty with. During post-show drinks, no one wants to sit next to this person. During rehearsal, people start dismissing their ideas. On stage, no one jumps in when they initiate a scene. Eventually, this person isn’t having fun anymore, and they slowly stop showing up. The rest of the cast secretly breathes a sigh of relief. This is the worst possible way to get someone to leave a group: through social ostracization. Think about how awful it would feel to be broken up with this way in any other relationship, and make a commitment to do better. Set up clear expectations for all cast members. It is most proactive way to deal with difficult decisions. Articulate what you, as a group, expect of each other. -What is the purpose of your group? Is it to have a professional-level performing ensemble? Or is it to be a community drop in workshop? This will make a big difference in how you make decisions on who should be in the cast. -Is it ok to be late for call time? How many times? What about absences? -What happens if the quality of someone’s work is in decline? Is there any process for development opportunities to help them get better? -Do you have a clear policy around harassment? -Who decides if people are asked to step back? Is there a director, or is it done by a group vote? See each other face to face to revisit your expectations at least once a year, and let group members know when they have not been meeting your shared expectations. If you are the director of the troupe, or if you have been elected by your peers to speak to the person, try your best to do so in person. It will be tempting to do it over email. Use this as a last resort only. When you are heading into the meeting, you need to be honest with the person about why you are asking them to leave. Start with your shared expectations, how this person has not met expectations, and that you are asking them to leave the troupe. Often times, if expectations are clear enough, the person might already know why they are being asked to leave, and might surprise you by being very understanding. This is a great testament to the planning you did as a troupe. Above all, do not lie. If the reason is because of their conduct off stage, do not use being late for shows as a scapegoat. Be specific, and site examples. “It’s not a good fit” is too vague on its own, and will leave the person with a lot of questions. If the person has done something reprehensible, you need to bring that tone to the conversation; it’s not about creative differences if it’s about a breach of your harassment policy. They will never learn if they don’t know why they are being asked to leave. It is very hard to handle rejection, especially in an improv environment where so much of our training is on positivity and support. If appropriate, you can let the person know how much you appreciate the time and effort they have put in to your group, suggest other outlets for improv in the city, or extend the option to re-audition in the future. If you are friends, you can explain that this is not personal, but a professional decision. But, if you don’t sincerely believe these things, do not say them as a courtesy. Hold your ground. Occasionally the person might argue with you, or try to convince you to let them back in. Be prepared to reiterate your decision, and keep the meeting short. You can remind them that art is subjective. Don’t do it if you are angry. If you are emotionally fragile, it will be hard to be professional and level-headed. Ask someone else from your troupe, or call in some back up to do most of the talking. Remember it happens all the time. Many relationships, be they romantic, professional or creative come to an end. It’s not the end of the world, even though it might seem like it. Both parties will heal, and come out stronger on the other side. I think when you can separate the professional and personal, making these kind of choices becomes much easier. Trust your gut, and measure it against the expectations you have in place, and you can’t go wrong. Has a gif ever made you cry? If you asked me last week if people ever cried while watching gifs, I would have said likely not. Yet, I now understand the contrary, because this silly one made me burst into tears the moment I watched it. The shock and amazement on the monkey’s face is so genuine that it brought me to tears. Such innocent wonder is something that we see children experience, but as adults, it is rare. I guess it’s hard to truly buy into a magic trick once you understand the definition of a “trick”. A lot of our training in improvisation is focused on undoing the behaviours that were piled onto us as we grew up. These behaviours are valuable in the outside world; they keep us safe and allow us to be accepted socially. But on stage, we want to be vulnerable, impulsive, and open to any possibility. Pretty much the opposite of how we are supposed to act day to day. The joy of improvisation is that we can play with unapologetic curiosity. We can react hugely to any offer our partner gives us. We can be boldly gullible, insanely innocent, and so sweet its stubborn. We can be voraciously curious about where the scene will take us next. We can be dazzled by the wonder of our imagination. Sometimes you just need to weep about a monkey gif to be reminded of this. There are months, and even years, in my improv career where I have felt completely stuck. I’ve felt like I was doing everything “right”, and yet, I just couldn’t seem to break out of the same old habits. I was playing the same British lady in every show, gravitating toward the same games, and getting the same notes over and over again. I just couldn’t seem to take genuine risks because they didn’t even occur to me. True risks were not even on my radar. I asked myself the dreaded question, “Am I actually getting worse?”. Over the years, I started thinking of this feeling as plateau; a flat-line in my development, after a previous period of progress. If you’re an improvisor, artist, or creative, you probably know the feeling. When you first start improvising, every class feels like you’re learning something new. There are so many milestones! Completing your very first class, the first character you play in a scene, your first class show in front of an audience! It seems like at every turn, there is a new concept for you to wrap your head around, and new risks for you to take! But eventually, you plateau. I mean, everyone is different; sometimes you’ll plateau after you reach a goal (ie. “I auditioned and made it into a company!”), or sometimes you’ll plateau from fatigue (ie. “I don’t have energy to workshop every week”), or sometimes you’ll plateau from hubris (ie. “I took Level 3, I have nothing left to learn.”). Regardless, there will be a moment where you feel suddenly self-conscious, your director is frustrated with you, and you want to quit improvising. I’ve seen so many young improvisors quit at their first big plateau. It’s the first time they’ve felt frustrated in an otherwise extremely positive experience, and they feel like there’s something flawed within themselves. It’s tragic, really, because once you’ve been improvising for a while, you start to notice this pattern of growth / plateau / growth / plateau. You get used to it. Once you can identify what’s going on, you can more easily tackle it head on. If you’re feeling this way, articulate it. Sometimes even being aware of it is enough. Read a book about improv or creativity. 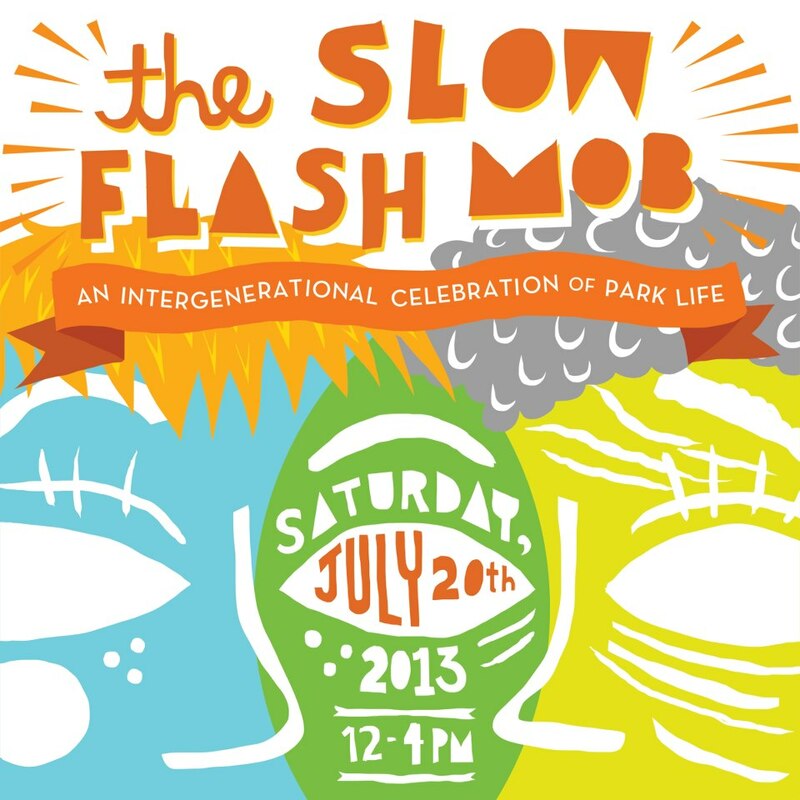 My improv brother from another mother, Kory Mathewson, has a great list here. Montreal Improv has cool mini-reviews for a lot of books here. When’s the last time you took a class? Take another one. Travel for an intensive, seek out an instructor you’ve always wanted to learn from, or revisit an instructor you loved before. 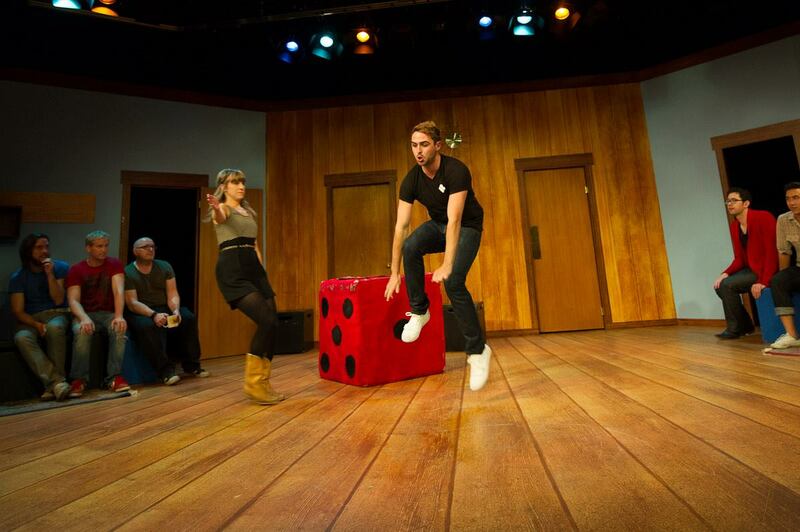 How often do you seek out improv at a different theatre? What are they doing differently? What do they do well? If you’re not in a show, do you usually watch it? Ask yourself, what is this show missing? Look for patterns and gaps in the show. Improvisation is 100% process. In any process, there are peaks, valleys and plateaus. In any process, there is frustration, whether we like to admit it or not. In every process, it’s possible you are getting worse, but in the end, if you stick with it, it will make you better.